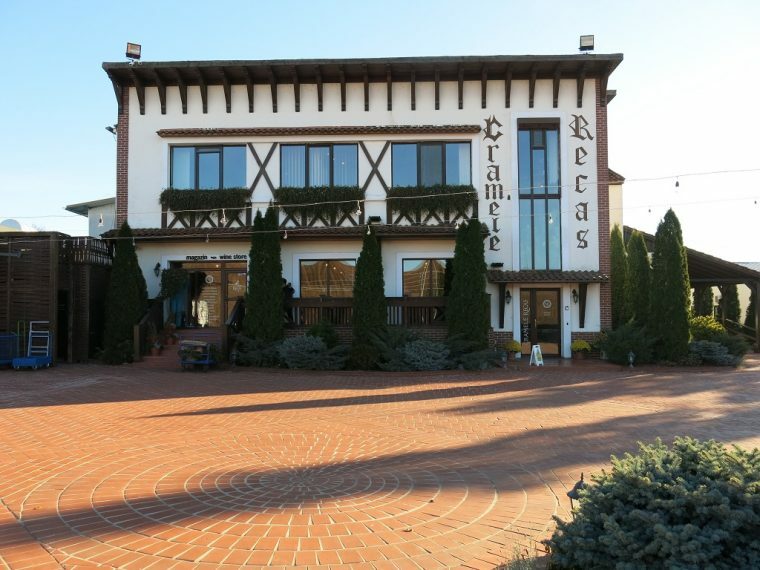 The Cramele Recas Vineyard and Winery Centre is 20km from Timisoara. Situated on top of a hill, the gentle slopes offer beautiful views across the valleys. Open to visitors throughout the year, the vineyard is open to visitors is well worth exploring – a place that has played an important role in Romanian wines for hundreds of years. This region of Timisoara has been known for its vines since the Roman occupation in 3rd century AD. Older Greek legends say this was where Bachus, the God of Wine was born. The oldest written document about the vineyard dates from 11 November 1447, where Mihail of Ciorna, the Ban of Severin, bought the land from Magyar for 32 gold florins. The land really started to form into recognised vineyards from 1772 when an influx of immigrants fleeing from turbulent wars in Europe added new skills and expertise to winemaking. I visited towards the end of winter when the vines were still brown; the new green buds had not yet emerged (it was -6 at night so I don’t blame them!) From a distance the hills look like freshly turned earth or iron ore, such is the sweeping scale, with vines stretching across the rolling hills as far as the eye can see. 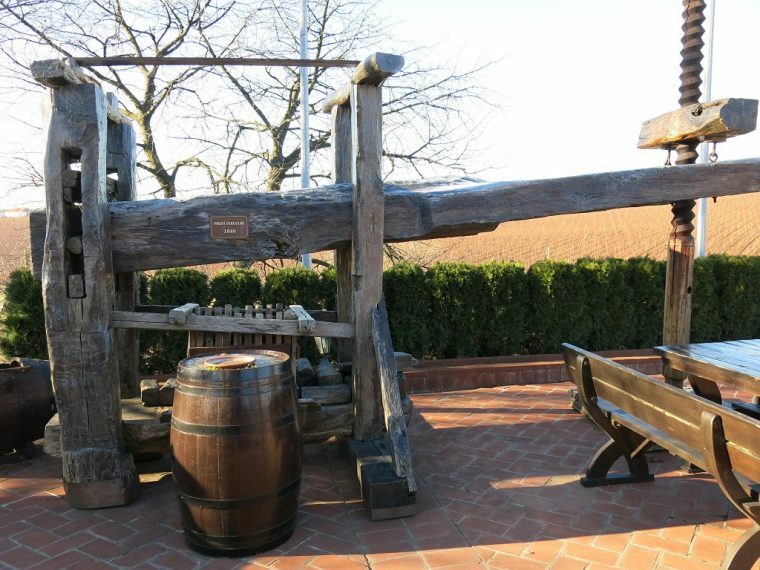 Although the winery is modern, a traditional press from 1840 remains, to remind us of the long history and pedigree of Recas wines. We were greeted warmly by Philip Cox, founder and Commercial Director for Cramele Recas. Surprisingly, he was born in Bristol and moved to Romania in 1991, starting Cramele Recas in 2000. Clearly passionate about his wines, he couldn’t wait to give us a tour of the cellars and then on to the wine tasting. We were taken down some stairs to find a network of large underground halls and rooms completely hidden from above. The space is massive and the cellarage very impressive. Cellars filled with barrels of wine lead off from the underground hall, all labelled and kept at a naturally controlled temperature. Oak numbered and stamped with “Transilvania Bois” hints at a dark history of Dracula and vampires long since passed. Long banks of antique tables are used to dine on with food brought from the restaurant. 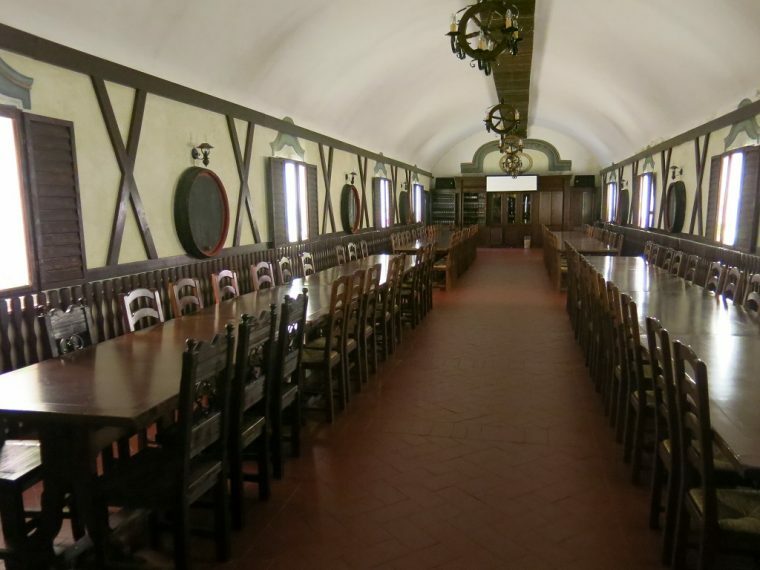 After the barrels, and secured vaults of historic wines, it was on to the tastings. Philip Cox explained that Cramele Recas made 17 million litres of wine in 2016, which is a 100% growth since 2010. 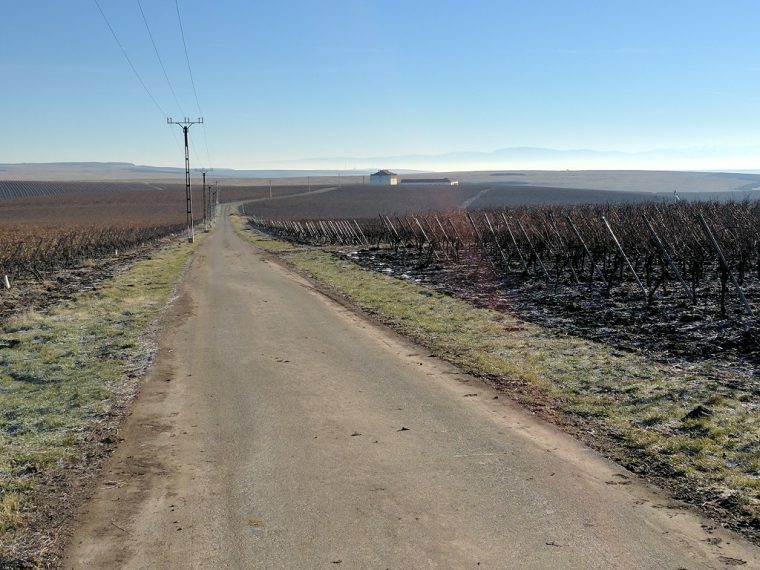 Since the winery was built in 2000, under Philip’s control, more vines have been planted as land has been acquired in an effort to regenerate vineyards systematically run down during the years of communist oppression which ended as recently as 1989. His main export markets are the UK, Holland and Germany, with the UK taking mainly Pinot Noir and Pinot Grigio. 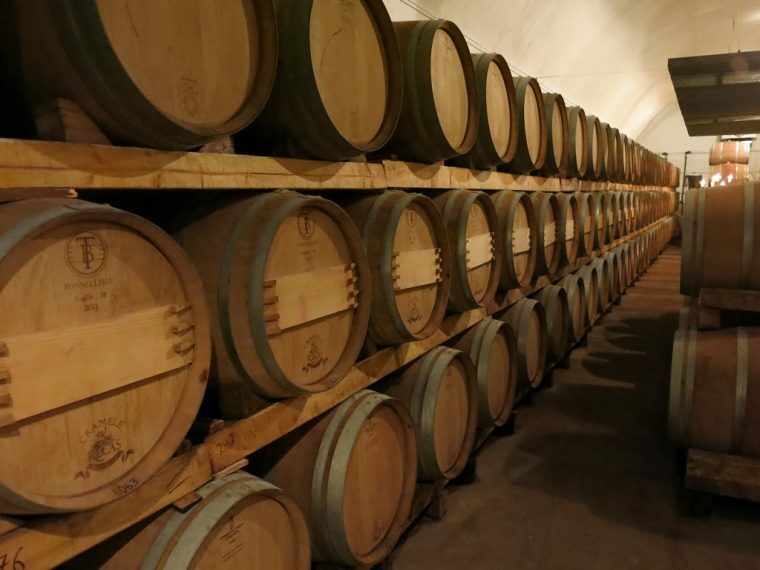 As more vines become productive and Cramele Recas extends its reach, sourcing from other Romanian regions, the winery can produce consistent wines that match the tastes of their target market. We sampled 20 wines, each having their own distinct flavours and aromas. It would be impossible to go through them all here. Suffice to say, Cramele Recas Romanian wines are good, although they may well be labelled by a supermarket chain or reseller in the UK. As we went through each wine, Philip simply oozed enthusiasm for them and the process used to create the blend and the final result. Clearly passionate about wine, he identified some of the lesser know vines that are starting to come to the fore now – Negru de Dragasani being one to watch for. 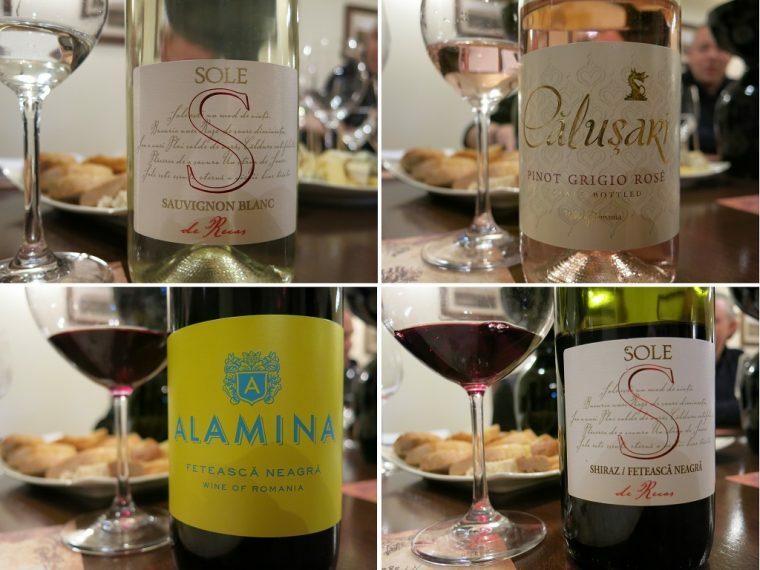 The Alamina Feteasca Regala was a particularly well-received wine in the UK; typical of Romanian home wines it is fruity and aromatic and easy to drink. After the tasting, Philip Cox took us upstairs to the back of the Cramele Recas building. The rather quaint winery frontage hides the true size of Cramele Recas – tucked behind is a huge processing and bottling plant, almost magically hidden from the initial view. Once again we were all impressed and amazed by the scale of the operation. Everything was clean stainless steel. First up, trays of screws that crush the initial deliveries of grapes before passing the fruit to further presses as needed. The pulp and juice is then transferred to tanks (typically) for fermenting. Most is cold fermented. The climate here on the Romanian hills helps with the slow fermentation and acts as a natural cooler. 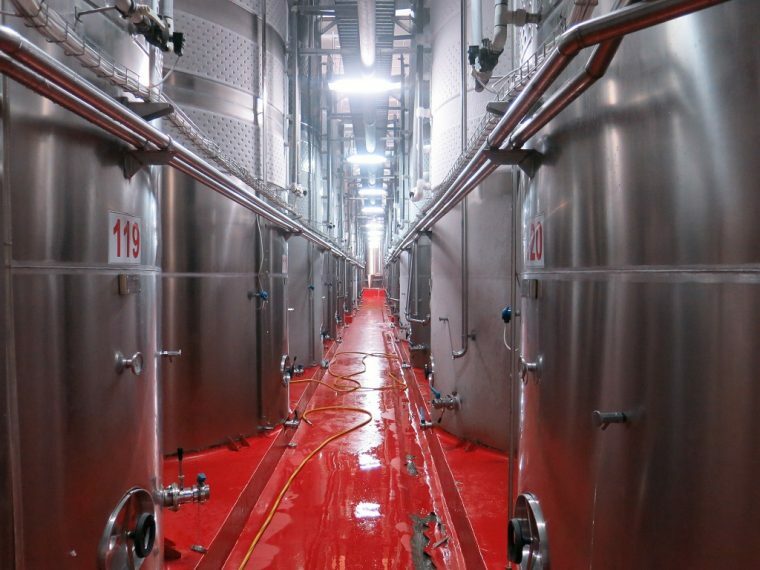 The outside tanks stay cool during fermentation without the need for cooling systems, unlike some of the tanks inside the buildings. 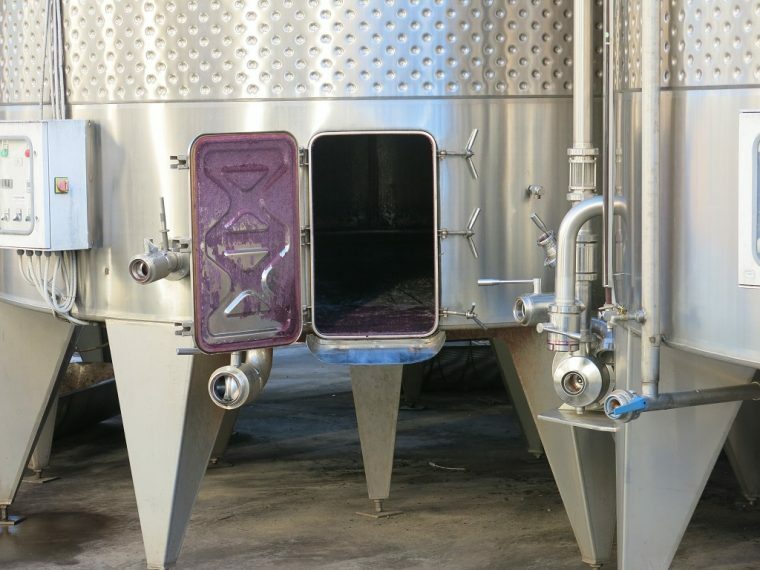 Tanks are opened and cleaned inside before the each fermentation starts and pipes are cleaned with a continuous flow of water. 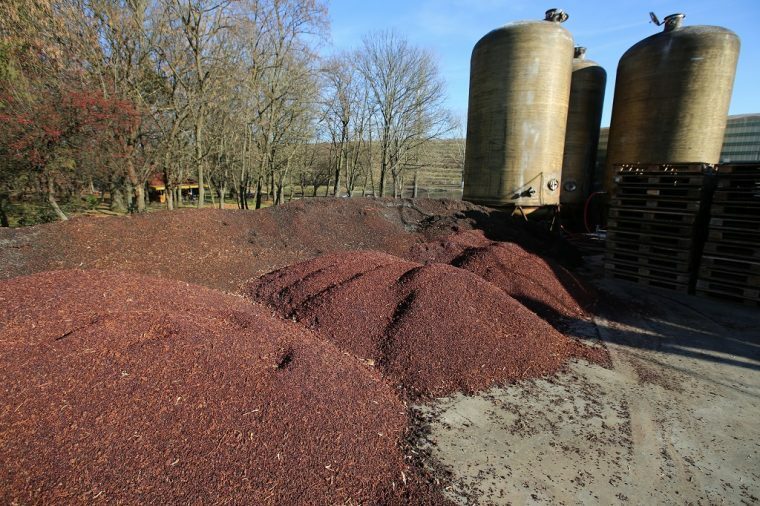 The grape skins and pips, looking like heaps of small woodchip, sit in piles waiting to be taken away to be processed elsewhere then used as fertiliser or fuel. Apparently, they are weighed by the tax office and act as a gauge to measure how much wine is produced. Over 6 thousand tons of grapes pass through here making over 17 million bottles of wine a year – everything is organised and efficient. There’s yet more wine inside. 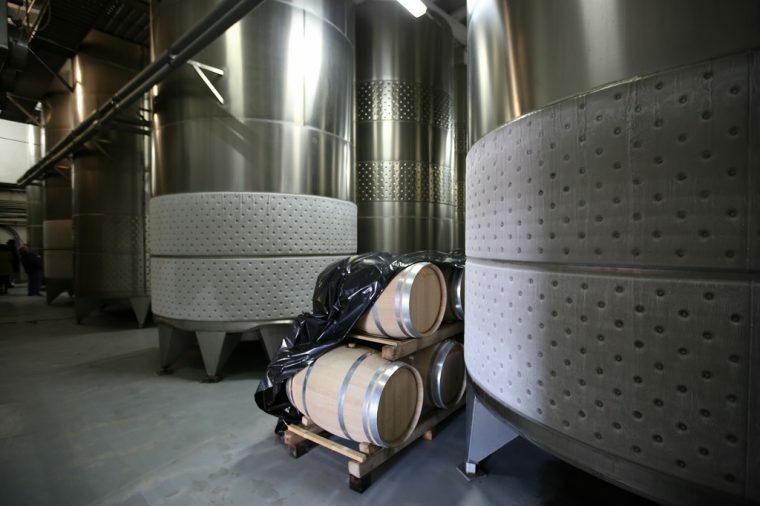 White frosting formed on the outside of the cold jackets an indication of how the temperatures are kept down during the tank fermentation process. Walking amongst the tanks, you are continuously reminded not just how large a production this is, but how clean it is kept. There is a real pride taken here, and it shows. 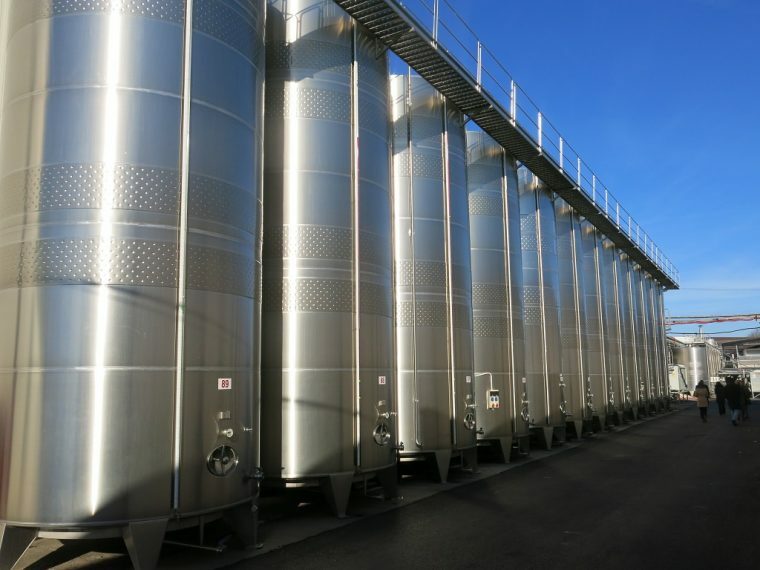 Each stage of the wine production process follows a logical flow, with tanks for the smaller win batches kept in different areas. 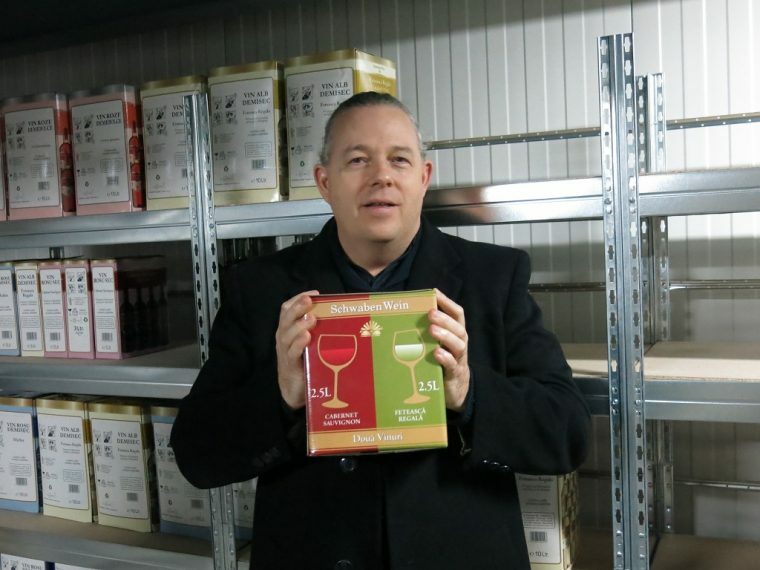 As we entered the bottling plant, Philip Cox showed us one of his new ideas; a wine box half of red and half of white. Aimed at the party, BBQ and picnic market, this is a concept that could solve many of those domestic arguments of what to buy. This is real innovation which puts the fun back into wine – I really hope it sells in the UK soon. 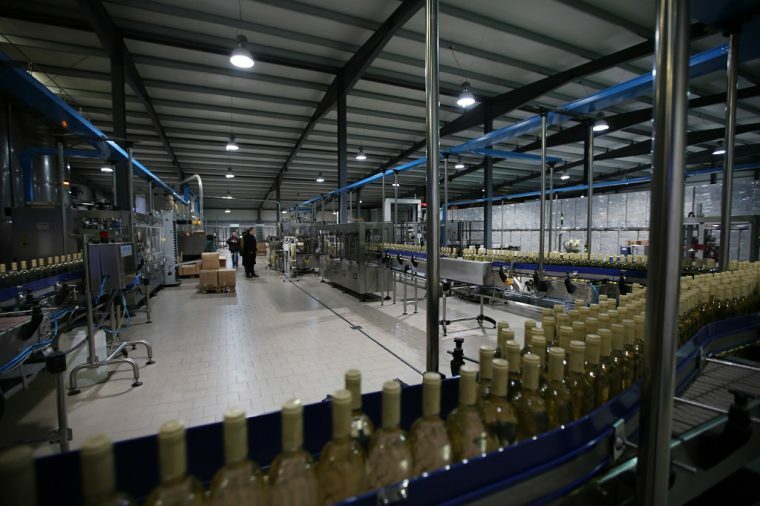 The bottling line can process 20 million bottles a year and runs full time. 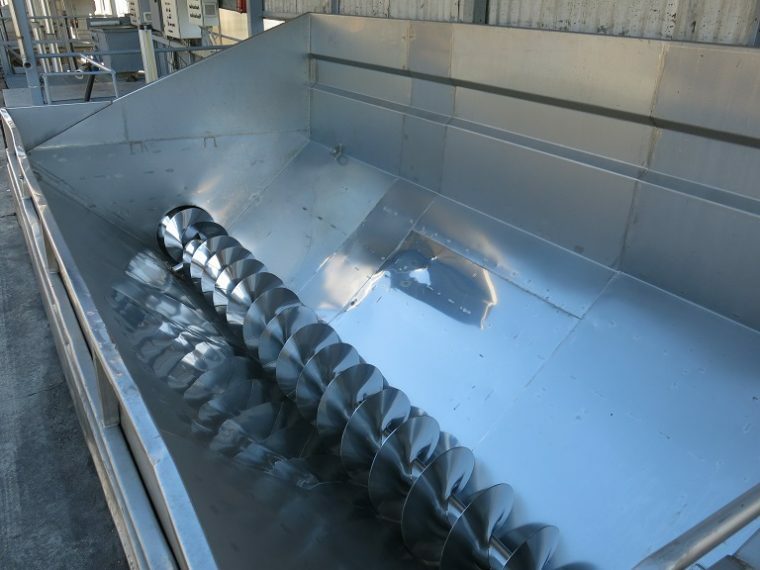 It has a somewhat hypnotic draw to it – the mechanisation is simply captivating. The labels going onto the bottles show the range of companies supplied to; Sainsbury, ASDA, Waitrose to name a few. Each getting their own unique Romanian wines with consistent quality and supply. It is worth noting that Cramele Recas is the biggest selling Pinot Grigio to the UK market under a range of brand labels. I wonder how many people are enjoying really good Romanian wines without knowing it? 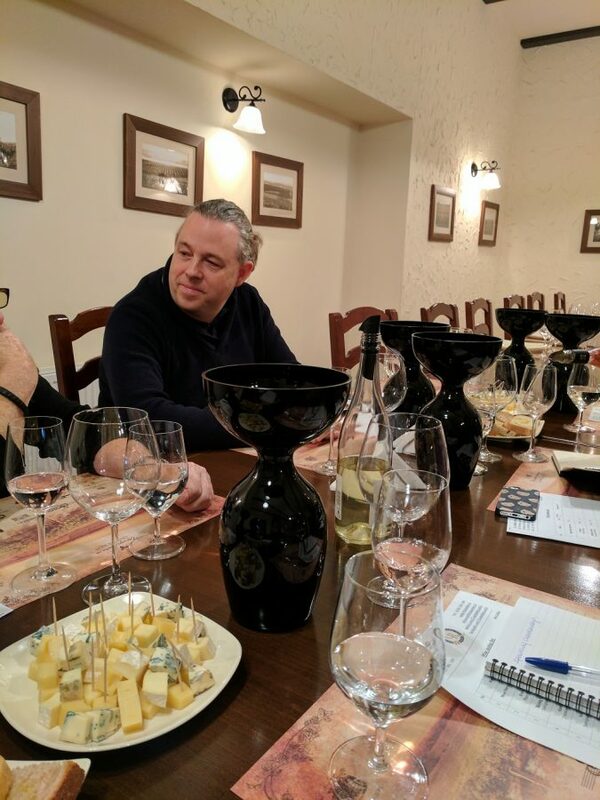 Philip Cox is widely considered an ambassador for Romanian wine and discusses and promotes other Romanian wineries with as much pride as his own. Clearly, any exposure to Romanian wine is good for all concerned, and I know that there is so much more to be discovered. I’ve got the same question as Anne Hobbs. I’d like to know the origin of the grapes used to make the Three Realms wine which is bottled by Cramele Recas. I didn’t know they are going to sell Recas wines in the UK! That’s great, even if it’s in supermarket chains. 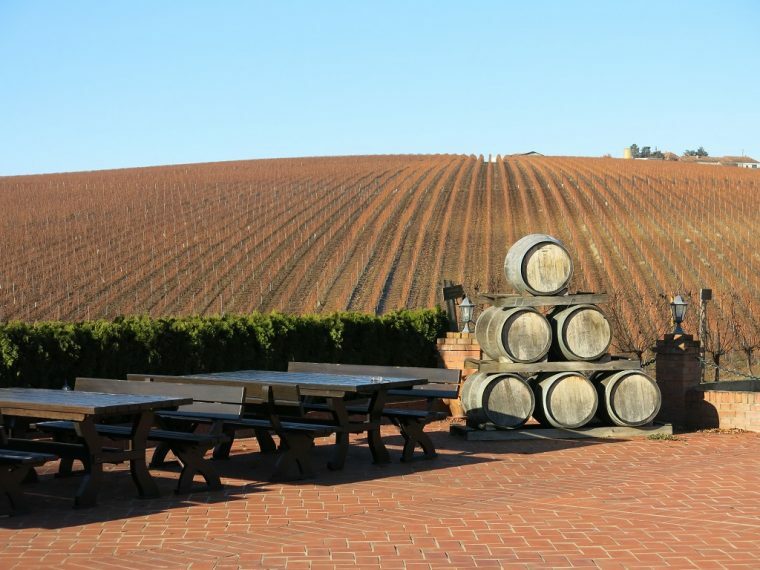 They have some of the best wines and people should know about them. The idea with the box of red and white wine does look like something interesting for casual parties.